The outgoing president touted administration's accomplishments in health care, education, diplomacy. In a wide-ranging letter to the American people, President Barack Obama mostly defended his legacy on health care and the economy and stated that he's "proud" of what he's leaving his successor. In his last missive as president, he defended the Affordable Care Act, with gusto, as conservative members of the House and Senate look for ways to repeal the policy. He also pointed to strong economic numbers throughout his 8-year mandate, but especially in the six years from 2010-2016. “By so many measures, our country is stronger and more prosperous than it was when we started — a situation I’m proud to leave for my successor,” Obama wrote in the letter published Thursday. The letter was part of a larger series of more than 20 cabinet exit memos, in which various departments, offices, and administrations summarized their accomplishments over the past eight years. 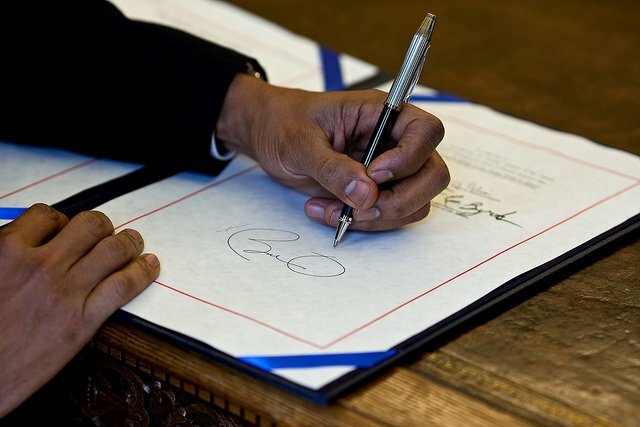 Obama spent much of the letter detailing economic accomplishments achieved during his administration. He cited a drop in the unemployment rate, from 7.8% in Jan. 2009 to 4.6% in Nov. 2016; a decrease in the uninsured rate, from 16% in 2010 to 4.6% in 2016; and major increases in renewable energy produced, such as solar and wind. "What won’t help is taking health care away from 30 million Americans, most of them white and working class." He also sounded a warning to the incoming Trump administration, which has vowed to repeal many of Obama’s policies, including the Affordable Care Act. Obama also mentioned some of his international accomplishments, such as passing the Iranian nuclear deal, re-establishing relations with Cuba, and reducing the number of combat units on the ground in Iraq and Afghanistan. The letter ends on a positive note.